I have had an interest in archaeology as long as I can remember (sounds like the beginning of a personal statement!). My mum and grandmother used to help out at digs on the Roman sites in Kent, particularly in the area where the A2 was being widened which permanently covered many sites along the ancient Roman road, Watling Street. I dabbled in marine archaeology at university but found that wading around muddy estuaries wasn’t for me. When I found out we had such an extensive Roman site just South of Norwich I was very keen to get involved and to see if our octocopter and hexacopter could be of use to the archaeologists at Caistor Roman Project. It is also a particularly interesting site for us as it was discovered when crop marks in a 1928 aerial photograph of the site highlighted an extensive streetplan of the Roman town. 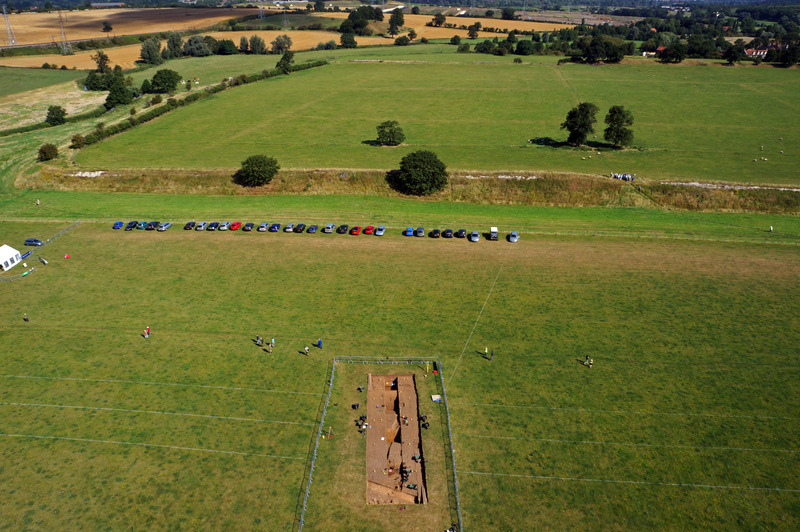 We hoped that, 84 years on, a new age of unmanned aerial photography would be able to assist the team to record the 2012 excavations, which are both taking place outside the boundaries of the town, investigating features highlighted on geophysical scans. 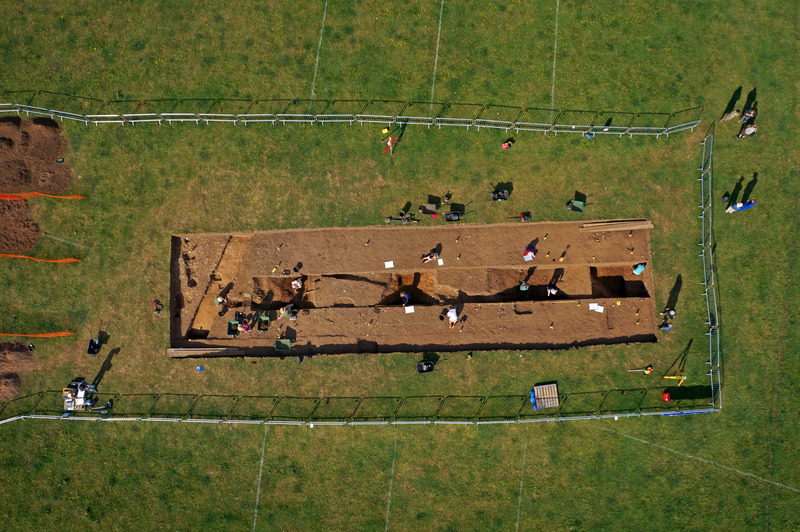 4) Obtain video to promote the 2012 dig. In the left photo you can see the ditch excavation with the Roman Town in the background. You can see the embankments that surround the town and, if you look carefully, the pale lines in the grass that highlight the hidden roads of the town. The right photo is a vertical of the main excavation. The three white lines are the predicted lines of the ditches from the geophysics. The archaeological team then very kindly cleared out the trench to enable us to take a series of photos. We then used 123D Catch to render a model. It is easy to use the model to create an animation. I have uploaded a couple of versions (watch in 720 or 1080 if you can)! We also got a chance to take some video of the site. This is a very quick edit showing flyovers of both main trenches and lifts to show them in the context of the town. HexCam would like to thank the team at Caistor Roman Project for their good humour, helpfulness and cake!